Fast and efficient response to overhead leaks. 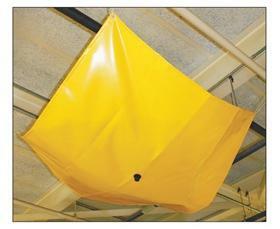 Get instant drip diversion with the new Drip Dam™ Leak Diverter. Available in various and custom sizes. This funnel style fast response tool will channel away liquids, minimizing the risk of slip-and-fall injuries and contamination. A flowrate of over 3 gallons per minute and a convenient hose connector with cap make containing and redirecting drips, drops, and leaks a breeze. 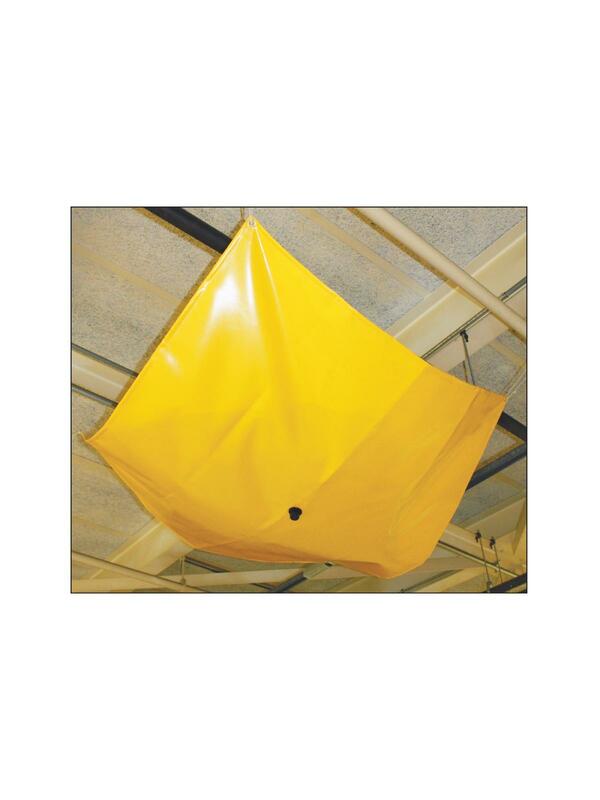 Made of durable and resistant PVC, the Drip Dam™ is resistant to water, most chemicals, and punctures, allowing for reuse and dependability. Fits 3/4" standard garden hose. FOB Shipping Point.